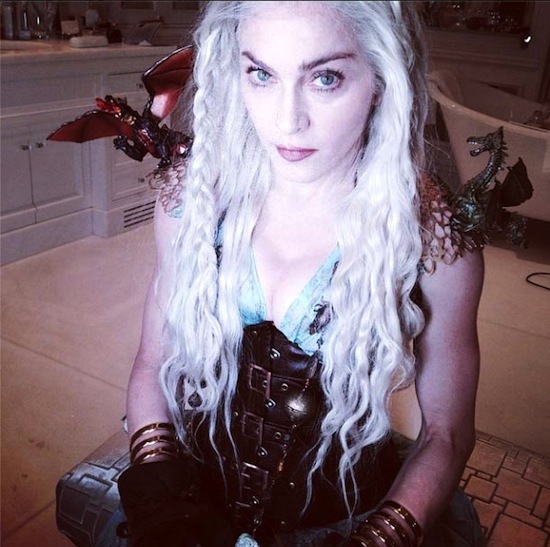 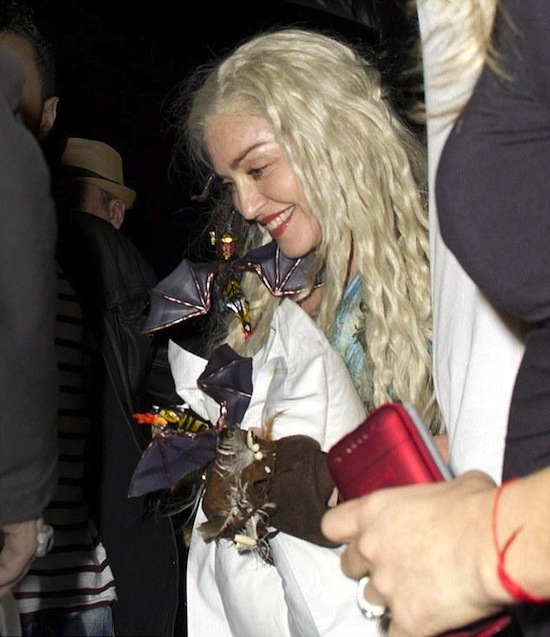 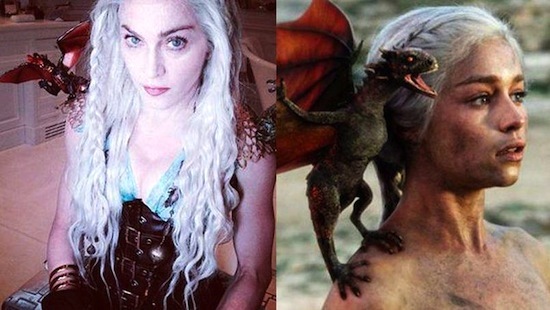 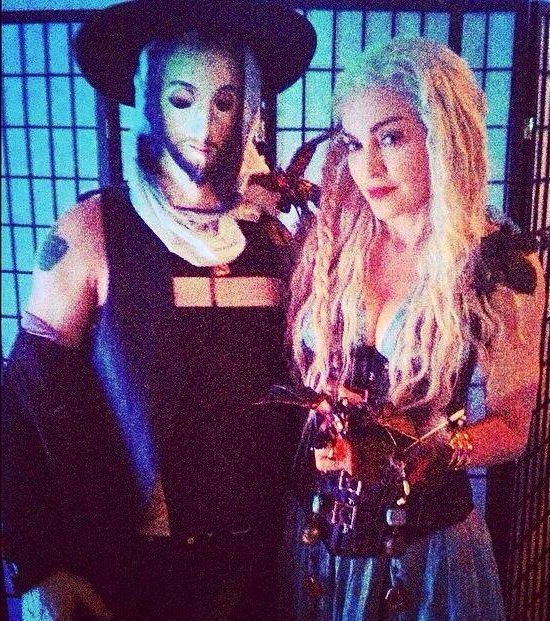 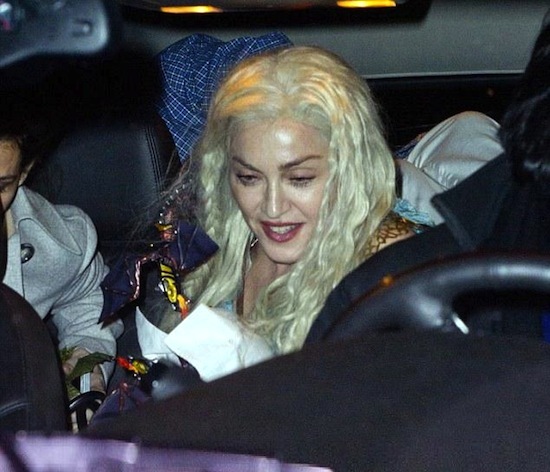 On March 15 2014, Madonna attended a Purim party dressed as Daenerys Targaryen, the Mother of Dragons, a fictional character from the Game of Thrones television series. 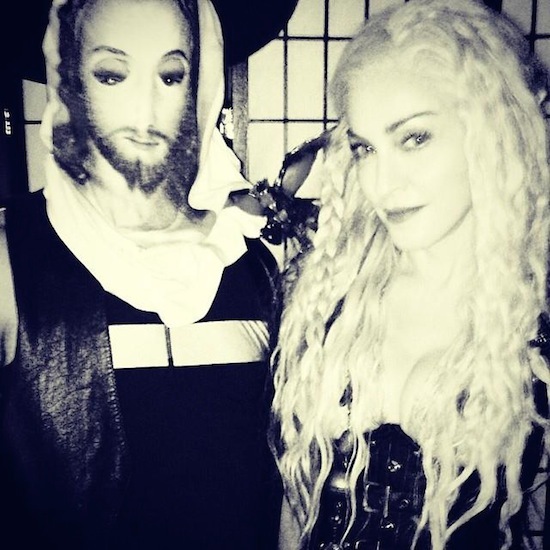 Madonna shared some photos of her costume on Instagram. 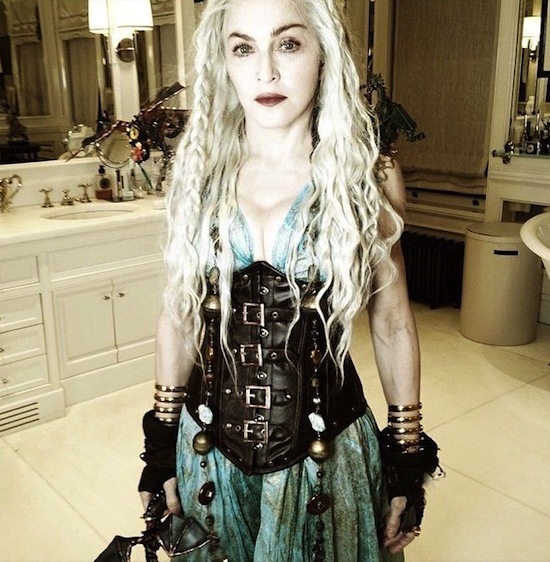 Brilliant and beautiful as always in her Rebel Heart!-MADONNA!